Four years ago, Erin Bratu was a high school senior deciding on a college or university to attend. The decision was made a lot easier after the Collinsville native attended the Summer College for High School Students program at the University of Mississippi. Sponsored by the UM Office of Pre-College Programs, the four-week academic program is for high-achieving high school students interested in experiencing campus life and academics before entering college. Summer College allows rising juniors and seniors to earn college credits, become familiar with the collegiate environment and develop social, personal and academic skills that will increase their overall college success in college. The program also allows students to test their interests in different academic areas before choosing a college major. Bratu completed courses in engineering and computer science, which helped lead her to pursuing a degree in electrical engineering with an emphasis in computer engineering. Bratu learned a lot of things in the classes she took, but she learned just as much outside the classroom. Attending the Summer College program also helped Bratu determine that the university was the right fit for her college choice. 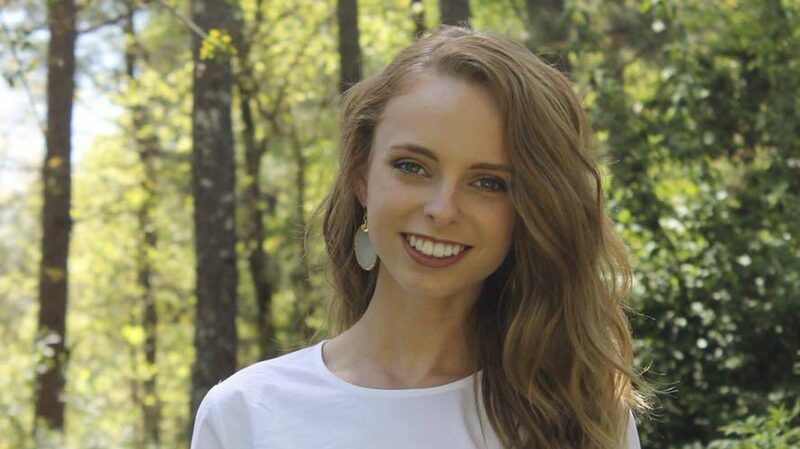 She graduated from West Lauderdale High School as valedictorian, STAR student and National Merit Finalist. She was also the recipient of a Brevard Engineering Scholarship due to her outstanding high school record. She is now a senior preparing for her post-undergraduate future. Since enrolling at the university, Bratu has taken advantage of many professional development opportunities. During summer 2017, she worked with C Spire in Ridgeland as a data analytics intern. According to Bratu, this internship provided her with important experience in the field of data science. Her primary project was to create an automated system to sanitize and process collected network data to be available for practical use by different departments. She was also responsible for creating several reports and presentations from these data. Bratu is working on her senior thesis as she prepares to graduate from the Sally McDonnell Barksdale Honors College. She is being mentored by Dwight Waddell, associate professor of electrical engineering. Waddell also directs the biomedical engineering program. This research helped Bratu understand her passion for the development and use of biomedical technologies for the study and treatment of neurological diseases and disorders. She hopes to use this research project to shift into the biomedical engineering field. She has been a leader in various engineering student organizations having served as vice president of Tau Beta Pi engineering society and the UM chapter of the Institute of Electrical and Electronics Engineers. She also attended the UM Pulse Leadership Conference during her sophomore year. Bratu is seeking admission to an electrical engineering graduate program in hopes of continuing research into the biomedical field specializing in signals processing for biomedical applications. She hopes to pursue research in minimally or noninvasive biomedical technologies for use in treatments and therapies for neurological disorders such as drug-resistant epilepsy.